Tooth extraction is a viable option for patients who have severe dental decay, periodontal disease, or physical injury. A tooth extraction is also a good solution for patients who have poorly positioned or half-emerged teeth. Dr. Nick Randall can help you determine if a tooth extraction is a wise choice for you. 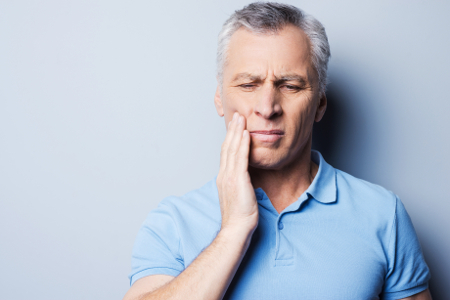 Tooth extraction can protect you against impacted teeth, crooked teeth, infection, and pain. Wisdom teeth extraction is the most common form of tooth extraction. Most patients opt to have an early wisdom teeth extraction to avoid dealing with impacted or crowded teeth. When you come visit us for a consultation, Dr. Randall can educate you about the extraction process and your tooth replacement options. When you come in for your extraction, the team at Chino Valley Family Dental will make sure you feel comfortable and prepared. They will provide you with the patient comforts you need to sit back and relax. Dr. Randall will numb the area of the extraction with a local anesthetic so that you can remain pain-free. Dr. Randall will wiggle the tooth back and forth until the socket widens. Some patients report feeling some pressure during this stage of the extraction process, but the anesthesia prevents acute pain. If the tooth does not come out in full, your doctor may have to section the tooth. In some cases, sectioning can make tooth removal easier. How should you care for your mouth after a tooth extraction? You should first bite down on a gauze pad while the light bleeding subsides. Use caution for the following 72 hours, avoiding drinking from straws or rinsing too forcefully. You can use ice packs to keep the swelling down. After 24 hours, you should resume your regular dental care routine. We can help you through every step of the tooth extraction process. Call us today to learn more about how we make the procedure easy and successful for our patients at Chino Valley Family Dental.